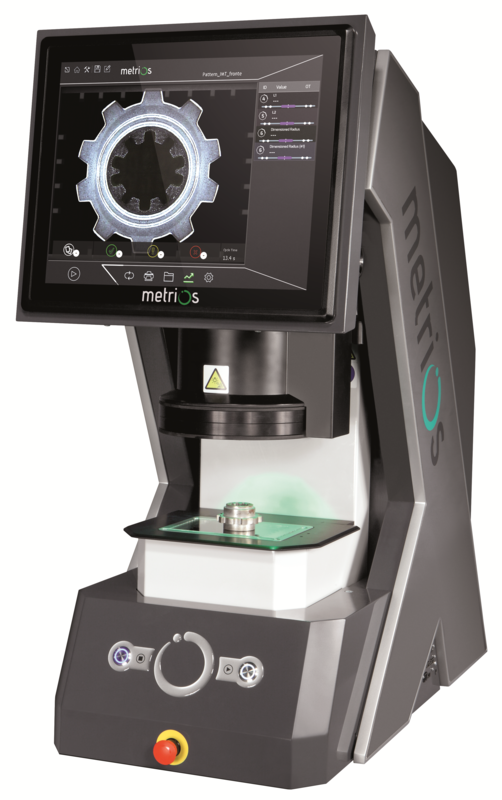 Metrios is a state-of-the-art 2D digital optical measuring machine designed to optimise performance in the smart, automated factories of Industry 4.0. At the press of a button and touch of a screen, this versatile system performs unerringly accurate and objective part-quality tests directly on the shop floor, driving increased productivity and reducing both scrap and costs. Using automatic position detection and capable of inspecting multiple parts at the same time, complex measurements such as distances, angles, radii, diameters and roundness can be taken in seconds, all with a simple and intuitive click. With 100x magnification power supported by highly practical and intuitive software, the Metrios displays results on a multi-touch 17-inch screen designed for crystal-clear visibility and a user-friendly interface. It’s as easy to use as a tablet but as immensely powerful as any measurement tool out there. As well as the most complete lighting system in its category and on-board temperature control, the machine boasts a sturdy steel alloy frame with reinforcing ribs to house and protect its most delicate parts, allowing it to get to work outside of the constraints of the metrology lab. It automatically collects data, eliminating the risk of human error, saving time and providing an instant analytical assessment of a production trend. Via its USB ports, the Metrios can collect data from external devices – ideal for adding measurements and statistics not typically acquired by an optical measuring tool. For fast, precision analysis of punched parts, laser cut parts, EDM products, seals, circuit boards, gearwheels, rotors, hydraulic fittings and everything in between, the Metrios delivers every time.